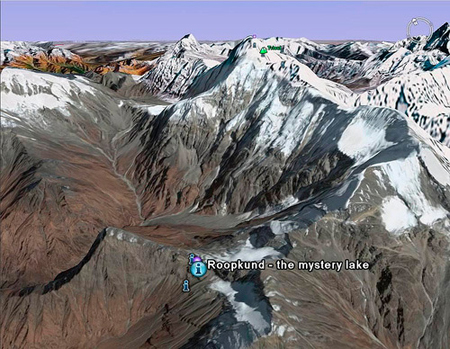 Roopkund, better known as “Skeleton Lake,” is one of those enticing, far away places with mysterious, strange-sounding names. 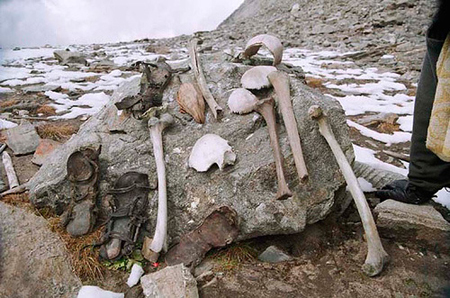 Located in the Indian state of Uttarakhand in an uninhabited corner of the Himalayan Mountains, the area is known for its enormous grave of between 300-600 skeletons, which carbon-testing originally dated back to the 12th to 15th centuries. First discovered by a park ranger in 1942, this frozen lake has since been revisited in recent years, when a team of European and Indian scientists converged on the area at the behest of the National Geographic Channel. The site is so isolated that it requires about four days travel from the nearest human settlement. Their research has uncovered new theories and facts. DNA testing placed the dead into two distinct physical categories; one of short stature and the other significantly taller (perhaps royalty). 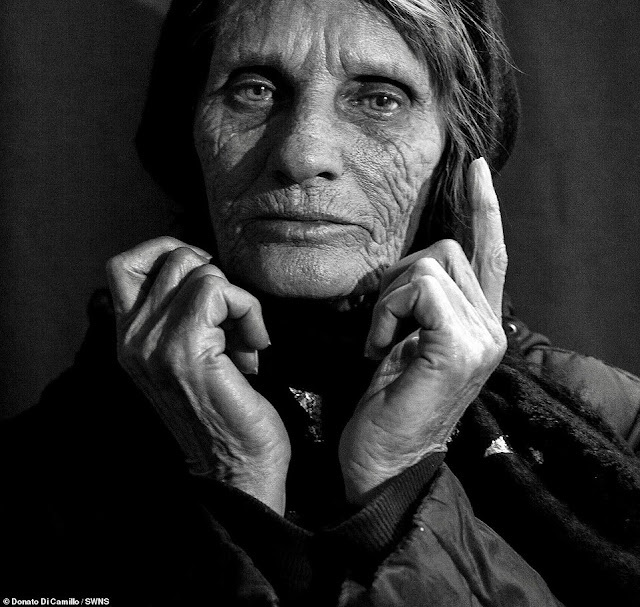 Their findings also contradicted earlier radio-carbon testing, as it is now known that the skeletons are even older than previously thought, ascribed to the 9th century. The primary questions are: what killed these people and why were so many of them on such a grueling journey in the middle of nowhere? 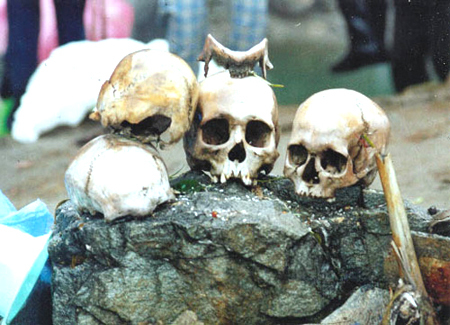 The skulls reveal fractures, which scientists conclude may have been caused by the impact of very large hailstones. 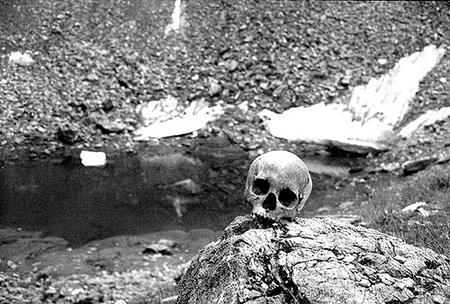 It seems likely that some kind of natural disaster, such as a blizzard or landslide befell them, as that might explain why some of the bodies inside the lake were found intact and preserved under the ice.